The average retail investor is often spoiled for choice when it comes to the financial markets. From brokerages offering you discounts on your trades, to low commissions, the marketing hype one gets to see can be overwhelming at times. You can trade, stocks, options, futures or spot forex markets, the choices are endless. While equities remain at the forefront of trading for the retail investor and is understandably the more popular choice among the mainstream opinion, the futures market holds its own forte and for some very significant reasons that you will learn in this article. Ask any professional trader and the chances are that you will hear them talk about the futures market. We should, however, mention that trading futures are just as risky as it is with trading equities or any other market for that matter. Therefore trading futures is not suitable for everyone. Still, there are some factors that make trading futures a better choice than trading equities as it offers some distinctive advantages for the retail investor. If you are a retail investor and caught wondering whether you should trade equities or futures, here are seven reasons why trading futures is better than trading equities. From liquidity and transparency to easier deposit and margin requirements here’s why trading futures is more beneficial for you. Liquidity in the financial markets is the ability to convert your asset your into cash without adversely affecting the price of the asset that you are trading. Liquidity is crucial in determining your success in the market that you are trading. What if you had made a really good profit on a trade, but you were unable to close out your trade at the right price? The futures market is highly liquid, and according to the latest report from the CME Group, in the third quarter of 2016, the average daily trading volume in the E-mini S&P500 futures was recorded at approximately 1.7 million. The high amount of liquidity infers that there are enough market participants in the futures market as each party competes for price. 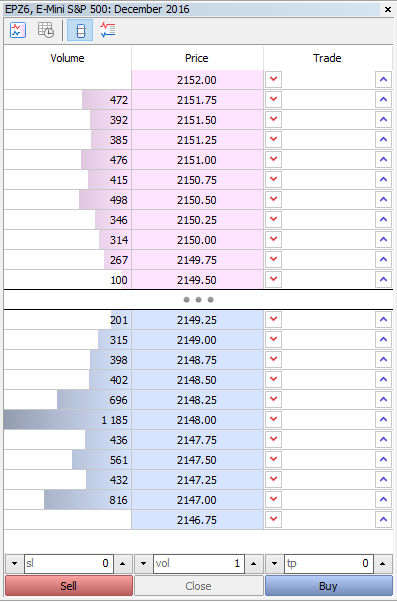 The futures market also enjoys the benefit of additional liquidity from speculators. As you might know, speculators merely exist to take advantage of the volatile prices without having to deal with the delivery of the underlying asset in the contract that they are trading. 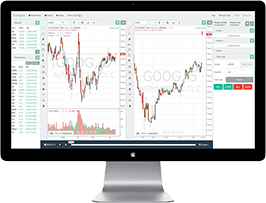 As a retail futures trader, the liquidity ensures that you can trade with a significant volume without any concerns of your orders not being filled, whether you are buying or selling in the futures market. Volatility in the financial markets is nothing but the degree of variation of price trading over time. It is measured as a standard deviation of returns. Without getting into the technicalities of volatility, what this means for you as a retail investor is that there is significant price movement, both on an intraday basis as well as over the longer time frames, allowing you enough room to make profits. In the stock markets, volatility can at times be seen with sudden price surges, especially during the aftermarket hours. For a retail investor, this volatility can often mean the difference between either making big profits or incurring huge losses due to the price gaps that are formed. Although gaps are a common feature in the futures markets as well, it is tamer and thanks to the liquidity, such occurrences are usually rare. The futures markets work around the clock unlike the equity markets, which is one of the reasons why volatility is more controlled. Of course, there is no market that is 100% secure, and the futures are no exception to this well as risk in the financial markets is a given. One of the most well documented "flash crash" in the futures market was in 2010 where the E-mini S&P500 futures fell by nearly 10%. For those interested, you can read more about it here. However, such occurrences are usually very rare. 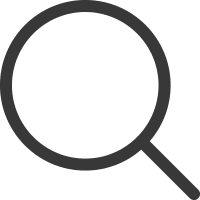 The price movements in the futures markets are also more predictable, and in fact, the futures markets are more preferred for technical traders. The futures markets also come with the added advantage of low spreads. For example, the E-mini S&P500 futures has a spread of only one tick (0.25) which is $12.50 per contract. The spread, which is the cost of entry into the market, is lower when compared to the equities. Lower spread also means that you can also book profits with just a three tick move in price from your entry to cover the cost of spread and make a $12.50 profit on one contract. 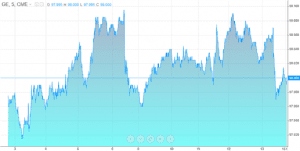 The commission for trading the futures market is quite low when compared to equities. For example, the commission for trading the ES contracts is only $1.99 per side (excluding exchange or data fees). This low cost of transaction allows the average retail investor or even a day trader to take advantage of the volatility and exit with a decent profit. The minimum deposit or capital required to trade futures is significantly lower. For example, some futures brokers allow you to open a futures trading account for as little as $500. However, the average capital required to trade futures is about $10,000. Because futures markets trade on margin, with a small amount of capital you can control large positions of your trade. When it comes to trading equities, the capital or deposit requirements may vary depending on the stock and the stock broker. 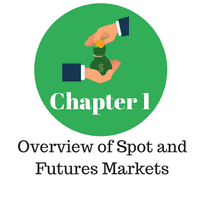 With the futures market, the deposit requirement is straightforward and based on the type of futures contract you are trading; the margin requirements are typically lower. For example, if you were trading the ES contracts, the margin requirements can be only $400. 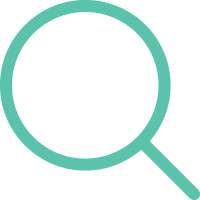 According to the Financial Industry Regulatory Authority (FINRA), the term "pattern day trader" applies to any investor that day trades on margin (buy and selling on the same day) for four or more times in a day. According to the rule, the pattern day trader must maintain a minimum equity of $25,000 on any given day that you trade. The rules also govern that the day trade forms more than 6% of your total trading activity for a five-day period. The pattern day trader rule therefore greatly increases the capital or deposit requirements when you want to trade stocks on an intraday basis and in a way defeats the purpose of intraday trading, especially if you have a robust trading strategy and risk management tools in place. This rather debilitating rule is, however, exempt if you are trading the futures market. You can also trade futures options and not fall under the pattern day trader requirements. What does this mean for you as a futures trader? 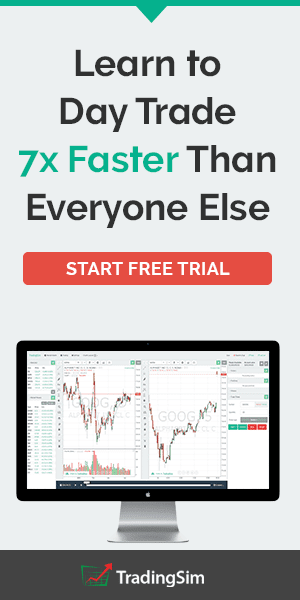 Well, for starters you can trade as many times a day as you want and you do not have to maintain a minimum equity of $25,000 to trade futures. This ensures that your capital is better used to fund your trades than having to maintain an equity balance requirement merely for regulatory purposes. To learn more about the pattern day trader rules, visit the FINRA website from here which goes into more technical details and fine print on the pattern day trader rules. You cannot avoid death or taxes! So goes the saying and with traders and investors, paying tax on your gains is a perpetual problem that you simply cannot escape or ignore. However, there is good news if you are a futures trader (and a US citizen). Futures trading gives you the additional advantage of some tax benefits, especially if you are a short term trade. 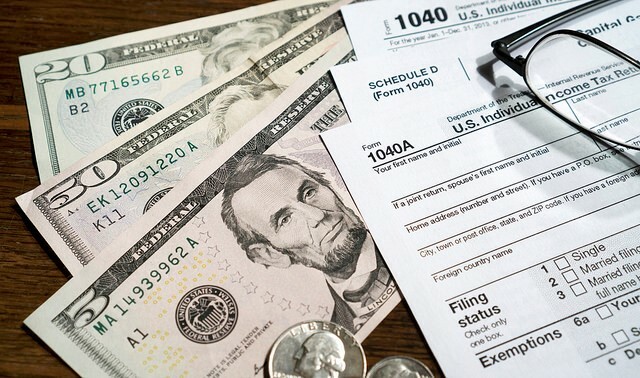 The profits from futures trading are taxed at 60/40, where 60% of your gains are taxed at a rate of 15% while the remaining 40% of the gains are taxed at a rate of 35% and deemed as ordinary income. The 60/40 might seem a bit complicated but it actually quite simply if you look at it in the following way. Therefore, if you had a $1000 profit, then your futures gains are taxed at $90 ($600 x 15%) + $140 ($400 x 35%) = $250, or about 25% in total. If you were to trade stocks, then you would be taxed at a different rate higher than the broad 25% tax you pay for trading futures. Also known as the capital gains tax, and it gets more complex if you sell your shares within one year from the purchase. Additionally, futures contracts are exempt from the Wash Sale rules, meaning that futures traders can report all gains and losses even if they haven't happened as the contracts are marked-to-market. Because the futures are traded as contracts and involve two parties (the buyer and the seller), there is a risk of the counterparty, where the other party can fail to act according to the terms of the contract. However, this risk is eliminated from the futures markets because of central clearing rules enforced by the futures exchange which acts as counterparty to both the entities involved in a contract. The futures exchange enforces initial margin or performance bond requirements as well as applying a daily mark to market thus reducing the risk of default to zero. This level of safety is seldom seen in other markets and is a significant risk especially when looking at over-the-counter markets such as spot forex. If the counterparty to your trade is unable to fulfil the deal, it practically makes your trade worthless. There are not many markets that offer a level playing for everyone involved. For example, in the equity markets, it is a commonly known fact that orders can be executed via dark pools and these block orders can significantly move the markets. If the average retail trader is caught on the wrong side of the trade, it can result in significant losses. The futures market offers many tools at your disposal that even the playing field. 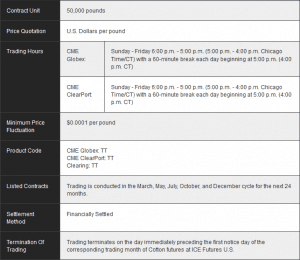 Besides the typical order book that allows you to see the 10 best bid and ask prices, the regulations enforced by the US Commodities and Futures Trade Association (CFTC) means that anyone can see the trading positions held by institutional traders. Of course, while the report itself lags by three business days, it offers a glimpse into how the speculative smart money, as well as hedgers, are trading the same markets as you. Such kind of information is not seen anywhere else, be it equities of even the OTC forex spot markets. In conclusion, the futures market is probably one of the best markets to trade if you are a retail investor with a capital of $50,000 or less. The low entry requirements, trading on margin and the safety net provided by the futures exchange makes it easy for the retail investor to swing trade or day trade the futures market with ease.